"In January 2018, Meesha started grade two. She attended three full days of school that year! The last 12 months was a roller coaster for my family. Meesha was the worst she had ever been with her health. She was extremely under weight, ended up with two severe lung infections and was diagnosed with CF related diabetes. Her CF team referred us to the transplant team and we were told she needed a double lung transplant! This was by far the toughest point in my life as I saw my daughter getting sicker and sicker right in front of my eyes. She was using a wheel chair and breathing with oxygen at night and wasn't able to do what she loves most, which is dancing. Then on June 19th we started Orkambi! The ‘magic pink pill’. This was a drug to finally treat the cause of CF . I always thought this would be the happiest day of my life but I was scared, nervous and anxious. What if it didn’t work? It took a while to see the results of this amazing drug but one day she had a burst of energy and all she did was dance! It wasn’t smooth sailing from this point on but over the next four months she started to gain weight, and started to look like herself again. Most of all she was able to dance again and took every chance she could to do so. Even before starting school again she started dance class! Now in Jan 2019 she has started the year five kgs heavier, attends school almost everyday and has gone back to ALL after school activities. I can’t say it was one thing in particular that got us here. Rather it was a combination of Meesha’s resilience and spirit to keep going and to dance again, along with the amazing support from the CF Team at the Monash Children's Hospital and new and different medical treatments. This is why myself, my family and friends participate in the '65km for CF' walk. All funds raised go towards CF research to help Meesha and many others in our CF community." “Our team Adamatilda will be participating in the '65km for CF event' for the 5th time. We are welcoming back a few regulars and are very excited to have some newbies gracing the track with us. 2018 was one of our toughest years with admissions for both Adam and Matilda, stomach issues for Adam and then he threw in a broken arm for extra points! As a family unit we made it through together and feel very blessed to have an amazing family and very supportive friends. We are walking to raise awareness, to raise money for research, to meet other families in a similar life situation and to show our children that anything is possible. “In 2011, I lost my good friend Genevieve Broom to Cystic Fibrosis, 13 months after her double lung transplant. Although her health was always an issue for her, she had such a zest for life and was a generous, giving and loving soul. After Gen died, I ran a few marathons, with CF as my nominated charity. In 2015, I ran the length or Ireland (578 kms) and raised money for CF Victoria. As part of my preparation for this run, I ran the 65km for CF event in 2015. “Five years ago, I started our team 'Whatajem' with my wife Colleen, in the '65km for CF' event, to walk for our daughter Jemma. Jemma has always been a very active girl and loves all sports. She water skis, wakeboards, snow skis and has competed in gymnastics and swimming. Without a doubt though her real love is basketball. She has played since she was seven and currently represents her club in the Victorian Championships. Recently she was invited to the state level tryouts. Jemma has always dreamt of going to the USA to play college basketball, perhaps represent our country and of course play in the WNBA. We know that this dream may be taken away from her and it would be through no fault of her own. Not because she chooses to be lazy, not because she chooses to eat pizza and drink beer, and certainly not from a lack of giving it her all. It would be taken from her as she begins to lose lung function due to having Cystic Fibrosis. It would be from this horrible illness, that she did not chose to have. Our dream, the dream of her loving family and the dreams of our amazing friends who make up team 'Whatajem' is that we will find a cure. We push ourselves over the 65kms to the point that we find it hard to go on. Our inspiration is that those with CF continue to push on when they find it hard to breath. We have no excuse to feel tired, as our CF warriors do. I watched Jemma walk last year. She had to take one short cut on the fifth lap, as she thought she would not make it home. As many around her called it a day, she sprang to her feet and with the support of team 'Whatajem', she dragged us around for the last lap completing around 60kms herself. “I like playing basketball, boogie boarding at the beach and playing on mum's phone. I also have Cystic Fibrosis. This year I'm joining my mum and dad who have participated in previous walks (sometimes with me in the pram) and I'm walking 6.5km in the '65km for Cystic Fibrosis' event. The money that is raised will go towards research to help towards improvements in the longevity and quality of life for people with my condition. "Close friends of ours were shocked to be told that their newborn baby girl had been diagnosed with Cystic Fibrosis. Their whole world was turned upside down in an instant. Almost three years later, the love we all have for this beautiful little girl has inspired me to take part in this walk and raise much needed funds and awareness for Cystic Fibrosis. The research that goes into finding a cure for this life-limiting chronic illness is only made possible with the help of people donating to the cause. We want to raise money to support this research and to achieve bright futures for Maya and everyone living with CF. Any help you can give our team in reaching our goal is greatly appreciated." "This is our third visit to this event. We like it because we get to feel the love from our friends walking/running with us and because it's run on a shoe string budget by other mums whose kids have Cystic Fibrosis. All proceeds are directed to research or clinical improvements for Cystic Fibrosis patients via a partnership with the Monash Health Foundation." "65km will be a walk in the park compared to what Adam and Matilda deal with everyday. We are doing this to raise awareness and money for research. We will continue to do what we can to improve the daily life of our kids and to hopefully improve the crappy life expectancy that Adam and Matilda currently face. Thank you to those of you who continue to support us all in our CF journey." "Two words that best describe Meesha would be courageous and kind...just like Cinderella!! She has a kind heart and soul, which many of us can see but her courage is something not all can see. Every day of every week, month, year she courageously fights a battle. She sits through hours of physiotherapy, inhaled antibiotic treatments, swallowing pills after pills, constant hospital visits, lung function tests, sputum tests, IVs, blood tests, and the constant nagging to eat something! In spite of this she doesn't cry, yell, or have tantrums she simply knows she has to do it to be healthy. On top of a chronic lung infection and numerous other lung infections she cannot gain weight but Meesha stays happy, kind and courageous through it all. I wish I could say the same for me. This is why I walk for Cystic Fibrosis (CF), this is why I raise money. To help Meesha and all other CF fighters to have a better chance to live a healthy life." "Kari is 7 years old and still fights everyday to stay fit and healthy. It's a life-long, daily fight - medications, physiotherapy, exercise, hospital visits, blood tests and more. Every year we ask people to donate because every year new research projects require funding to help extend Kari's life and others with Cystic Fibrosis. The research also contributes to Kari having a full life with her family and friends. So if you can spare your time or $$$ we appreciate your generosity greatly and what it means to our girl Kari". Why 65 km for CF? Well our family and friends know my niece was diagnosed with CF 13 years ago. When I received the news I thought “what can I do to make a difference to her life?” So the next day I opened a bank account and started a small savings plan for CF research. My hope is that we find a cure soon. When my sister Julie Noorman and her friends got together to try and raise funds for CF by staring “65 km for CF walk” in 2013, I knew that would be a great platform to try and raise more money and awareness for CF, along with my savings. My goal is to raise over $1,000 per year and as a personal physical challenge I add a lap each year in recognition and respect for all people with CF, their families and their journeys in life – as the slogan goes “CF is no walk in the park” and this is my show of support. I am truly inspired by my sister's efforts in putting such an event together and enjoy pushing myself to great heights each year for what is a small sacrifice compared to living with CF. I can’t wait to take up the challenge with an extra lap each year and I wonder what I will get up to after 2018 after completing the full 65km. A big heartfelt thanks to all my family and friends who are able to assist me in my fundraising. I have found this to be a very rewarding experience and encourage everyone to get out there and set some goals. It is amazing how strong you can become. "I have a 28 year old son with Cystic Fibrosis. I did this walk last year. I came up with a lot of excuses not to do it this year. I have a new and busy job, my parents are both unwell, I will have to return from my holiday in Sydney, I deserve some time to myself, I haven't started training, I hate asking people for money. But I realised that people with CF don't get to take time off treatments because they deserve it, or when they have new jobs or when other family members need them or when they are on holidays. As my friend Guy Gibson would say I need to take myself to Bunnings, get a spoonful of cement and harden up. So I am walking. This year money raised will go to CF research at the Monash Health Foundation. 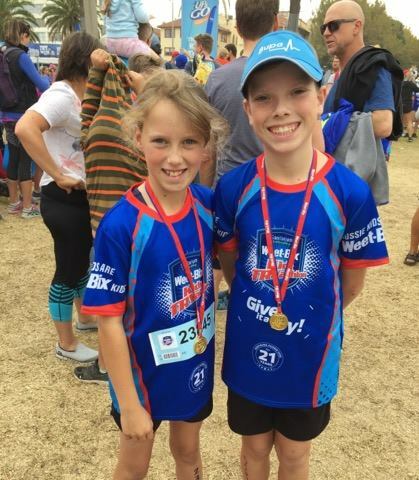 I aim to raise $2800, that is $100 for every year of Lachlan's life." 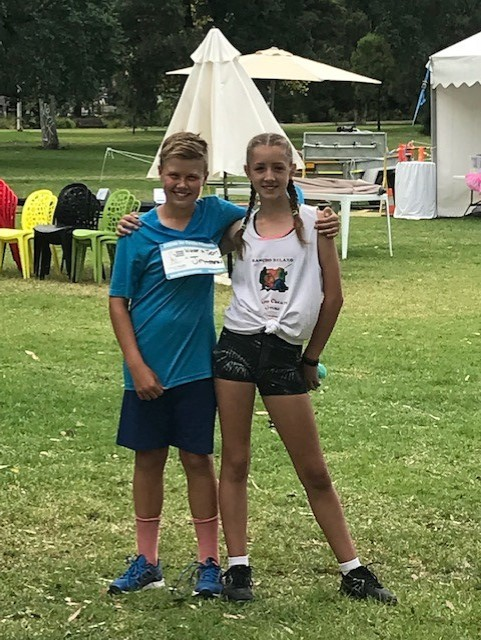 Since the inception of the '65km for CF' walk, I have organised family and friends to walk in memory of my sister Genevieve Broom and to help raise funds in the hope of a cure for my son Chris. Genevieve was born in 1975 and at the age of three was diagnosed with Cystic Fibrosis. She made the most of the opportunities given to her, particularly in the areas of singing and horse riding. She had a successful lung transplant in 2010 but in August 2011 died following post-transplant complications. She was an inspiration to many, dearly loved and missed by all who knew her. Chris was born in 1994 and is now 21. He is doing his intern year as a radiographer at the Austin Hospital and the desire of our family and friends is for him to live a long, happy and fulfilled life that is not cut short like Gen's. Each year we have between 30-40 walkers in our continGENt and each team bears the name of GEN in some variation. The GENetics (my team) have been there each year and have been joined by other teams such as GENtastic, GEN-X-Ellent, GEN'n'Tonic, SimoGEN, TanGENT, MaGENta, BronchoGEN, GENifique and GENuines. A few weeks before the 2016 event Andrew decided he would register to do the full 65km in the '65km for Cystic Fibrosis'. A big feat in itself but if you then throw into the equation that it was just under 5 months since Andrew went through surgery for a second double lung transplant, it was an inspirational and mind blowing sign-up. Andrew is a reminder that those with CF embrace life with a resilience that is to be emulated and commended. Andrew walked in memory of his brother Ben and his friend Gen. He didn't end up completing the full 65km but his willingness to give it a go displays the courage that we see in many members of our CF community - Well done Andrew, you are amazing.